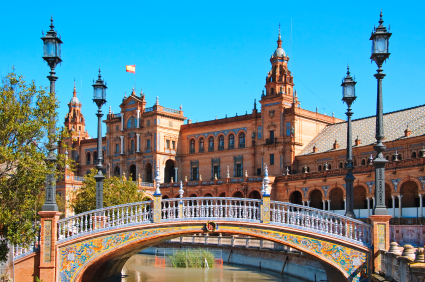 With just a little bit of planning, it’s easy to arrange a cheap city break to see one of Spain’s beautiful cities with our guide. When To Go On A City Break? If you want to save, you’ll have to travel when demand is lower. Check if there are any local events on the dates you’re planning to visit to avoid higher hotel prices. Don’t just think of local fiestas, such as the running of the bulls in Pamplona. Consider the dates of trade fairs and major sporting events for Barcelona, Madrid or Valencia. Once you’ve settled on your dates, start to research hotels on sites such as LateRooms or Hotels.com comparing like with like. Don’t be swayed by more stars. This could just mean that the hotel has conference facilities that you won’t be using (but you will be paying for). Another possibility is AirBnB; take a look at options for your chosen city from grotty rooms to mansions with everything in-between. Use Trip Advisor for general info (eg how far is the hotel from public transport?) and Booking.com for reviews by people who’ve really stayed there. Many low cost airlines connect cities in Spain: Vueling, Iberia Express, Ryanair, compare prices on Momondo. If you’re driving to your destination, find the cheapest petrol stations or download an app. If you’re going by train, read our guide on how to find discounts. In big cities take a look at electric car or motorbike rental, pay by the minute. Top options in Madrid: Car2Go, eMov and Zity. Alternatively read our post on Taxis, Uber and Cabify and remember that newbies generally get a discount on your first Uber or Cabify ride. If you want to try out the local cuisine but are on a budget, use online discount coupon sites that don’t require prepayment. Print out the vouchers before you go, if you change plans you won’t be out of pocket – search by location on Oportunista or UrbanCheck. If you’re interested in a specific restaurant try Restaurantes.com (available in English) to see if there’s a discount available and reserve without prepaying. And don’t forget that most restaurants offer a fixed-price Menu del Dia; if the restaurant is a bit more exclusive this many be called “Menu Ejecutivo“. First stop: The local tourist office. It’s always a good place to visit when you arrive and they should be able to inform you about free events. Download Google Trips for an easy way to plan your daily walks, it can be used offline too. Sign up for a free city tours via Feel the City in Granada, Seville and Madrid. Find more on Google: input your chosen city and “free” or “cheap” and see what turns up! Under 31’s get discounts with a Youth Card at museums. If you don’t qualify for a Youth Card, check online which days museums have free entry. Families with 3 or more kids should make sure they have the Familia Numerosa card and ask if a discount is available. You’ll see lots of ads for City Cards, but calculate whether they’re worthwhile. It all depends on your plans. Visiting theme parks, zoos, or similar can be expensive use our exclusive 5% discount at Tixalia; no commission and you can change your ticket dates at no cost. The only thing left after all that planning is to go and enjoy yourself. Have fun!